6:18 AM The latest addition to our home page is called The Gift of Fixing Towel Racks. 6:15 AM Introducing the Ethiopia Cookie Cutter! You heard it here first, folks. ARLINGTON, VA – On Wednesday, November 1, at 12:00 p.m., the George Mason University School of Law will host a panel discussion to explore the meaning and likely impact of Virginia's proposed constitutional amendment to define marriage (Ballot Question #1). Cato Institute Senior Fellow in Constitutional Studies Mark Moller will argue that the measure threatens rights and protections currently offered to unmarried persons under Virginia law. Nelson Lund, Mason Law Vice Dean and Patrick Henry Professor of Constitutional Law and the Second Amendment, will argue that the amendment should not be interpreted to threaten these rights. Mason Professor Joyce Lee Malcolm will moderate this engaging and thought-provoking scholarly discussion. And here's an essay in favor of the amendment. 6:05 AM PUSH is an acronym meaning "Pray Until Something Happens." I'm not sure I agree with its theology, but I do think it's a good idea to keep on praying for something the Lord Jesus puts on your heart. Right now that's the church in Burji for me. Sometimes I'm moved to intercessory prayer in the most unusual places. The temptation is to put it off, but that's never a good idea. I can't wait to get back to Burji next summer. Meanwhile, my ministry for them is prayer. 5:54 AM This week in Greek we introduce the perfect tense. It is probably the most exegetically significant tense because of its verbal aspect. Once we've covered the demonstrative pronouns it will be time for our second exam. The competition is heating up to see who will get the 110 Award. I hope many do. There were 4 winners on our first exam. 5:52 AM I'll be very busy for several weeks as I try to complete a publishing assignment by my Dec. 1 due date. By the grace of God I don't think I've ever missed a publisher's deadline. 5:28 AM Special thanks again to our friends at Childrey Baptist Church. 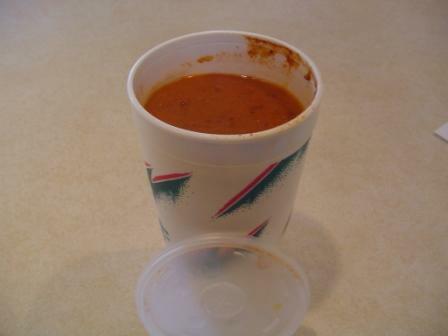 They raised enough money by selling chili (photo) to purchase 100 Bibles for Ethiopia. Just as important to Becky and me was to witness the spirit in which they participated in this ministry. It's not the amount that blesses us so much as their willingness -- their eagerness, even -- to give. Someone once distinguished between 3 kinds of giving: grudge giving, duty giving, and thanksgiving. Grudge giving says "I have to give." Duty giving says "I ought to give." Thanksgiving says "I want to give." What comes closest to describing the spirit of your giving to Christian work? Bless you, CBC, for being a "thanksgiving" congregation. I find your example deeply challenging. 9:44 AM The Bible declares Satan to be a living superpower, an evil genius who is unspeakably cruel and incredibly cunning. 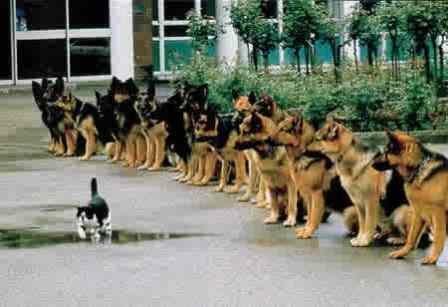 He will do whatever he can to hinder the work of God (1 Thess. 2:18: "Satan hindered us"). One of the basic fronts along which he attacks is cultural. I mention this because we just received an urgent email from a church leader in Soyama (in Burji, where we work) that the Burji and Guji tribes are at war and that already four people have died. I am doing all I can to get more information but it is clear that the work on the meeting hall in Burji has stopped because of the fighting. Satan is trying to use this diabolical conflict to occupy God's territory. May the dear believers in both tribes use every piece of God's armor to resist the enemy wherever he attacks. Please pray for the cessation of hostilities and for a just solution to the underlying socio-political problems facing the people of Southern Ethiopia. Thank you. 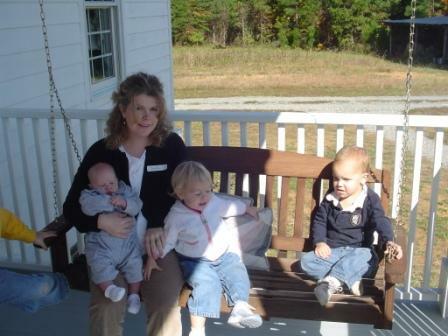 Here's Becky with 3 of her Burji sisters in the Lord. As I post this picture I am weeping. My heart bleeds for these precious women. Their lot in life is difficult enough without having to add to them the hardships of tribal warfare. 9:15 AM Advancement is made by asking questions; discovery is made by questioning answers. 7:54 AM The latest addition to our home page is called Why Not Open Sharing? 3:52 PM Well, Nathan pulled a fast one on me yesterday when he entered a "pan cake" in the bake-off at church last night. Everything "panned out" for him, though. 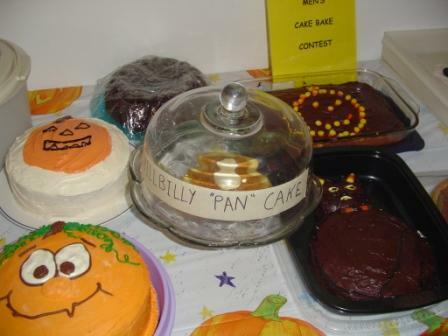 He even won the prize for the "most original" cake. 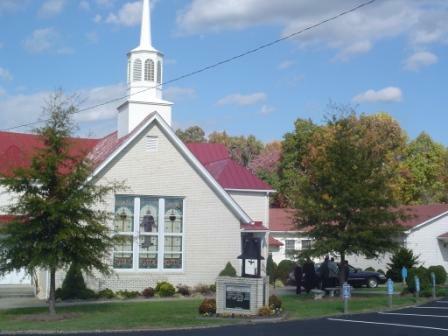 Meanwhile, Becky and I said goodbye this morning to our dear friends at Childrey Baptist Church in Brookneal, VA. This will be our last visit before we leave for Ethiopia in December. Here's what awaited us when we arrived this morning. Few things excite me more than churches that thrive in their passion for missions. Paul was quite explicit on this issue: "So then, as we have opportunity, let us do good to all men, and especially to those who are of the household of faith" (Gal. 6:10). 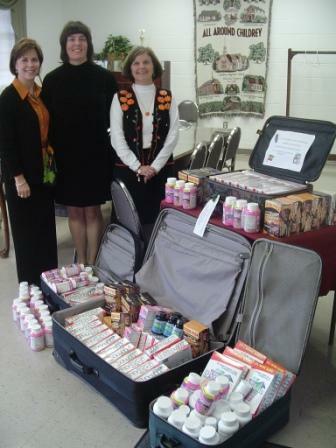 A big "Thank You" to the ladies of the Women on Missions group at Childrey for organizing this "suitcase packing" for the Blacks. We are now left with a problem that we love to have: how in the world do we get all of these vitamins and protein bars to Ethiopia? Becky and I have become fast friends with our brothers and sisters at Childrey. Kenny and O.T. are two of the best. Thanks, men, for stepping into the breach while you are without an undershepherd. You are loved. 11:17 AM Tomorrow I am teaching again from Philippians 1. OpenText.org has published this syntactical display of the chapter. Their approach seems a bit overly complicated to me but still worth considering. 7:58 AM Greek students! Check out this jpg. of Codex Alexandrinus on 1 Tim. 3:16. Is theosthe original reading here? If so, then 1 Tim. 3:16 would be one of only a very few passages in the New Testament in which Jesus is explicitly called "God." Italian (Diodati). Iddio e stato manifestato in carne. French (Osterwald). Dieu a ete manifeste en chair. Spanish (Valera). Dios ha sido manifestado en carne. German (Luther). Gott ist offenbaret im Fleisch. Portuguese (Alineida). Deus se manifestou em carne. 7:52 AM Don't forget to set your clocks back tonight. 7:50 AM Only 46 days until we leave for Ethiopia. 7:45 AM "Does your church have a website yet?" That's a question I'm known to ask. Blogging can help your church, and here are four ways it does so. 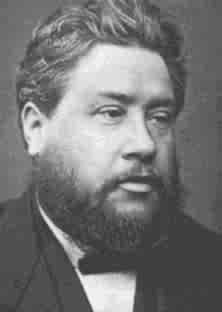 Spurgeon laughed as often as he could. He laughed at the ironies of life, he laughed at comical incidents, he laughed at the amusing elements of nature. He sometimes laughed at his critics. He loved to share wholesome jokes with his friends and colleagues in ministry. He was known to tell humorous stories from the pulpit. Laughter is a wonderful medicine, and I don't take it often enough. 7:34 AM A week from today we will be driving to Abingdon, VA, to attend the auction for Ethiopia being hosted by John and Julie Austin. It looks like this is shaping up to be quite an event. For details go here. 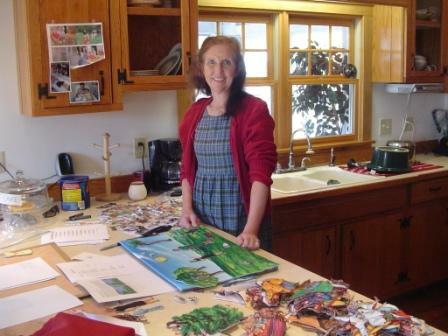 We'll take along videos and pictures to show everyone, as well as Amharic Bibles, flannelgraph sets, etc. to put on display. 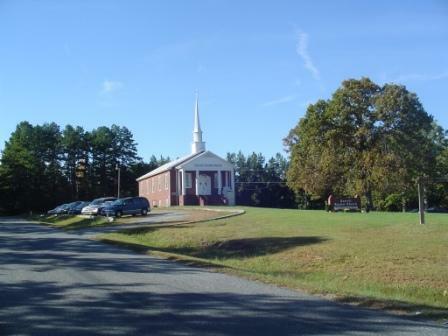 On Sunday morning we'll drive to Boone, NC, where one of my students has a new church plant. We are very grateful to God and look forward to seeing old friends and making new ones. 7:30 AM Newsflash! Tonight is our harvest festival at Averett Church, and Nathan is actually going to be baking a cake for the event. It just hit me that he will put as much effort into his culinary assignment as he does in his carpentry. I'll probably write about this later, but meanwhile I'm going to enjoy watching the chef at work. These are merely a few of the passages that show how important apostolic patterns and precepts were to Paul and his churches. Little wonder, then, that the earliest Christians had no church buildings, no priests, no youth programs – nothing, in fact, that might have originated in their own minds rather than in the teachings of the apostles. They had no professional “clergy,” and the leaders they did have enjoyed a fellowship of leadership as they served together in humility and equality. 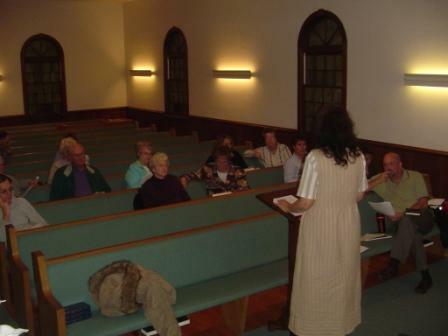 These early believers had meetings that would amaze us today – highly interactive and participatory, focused on doctrine and teaching, and oozing with koinonia (genuine relationships). What a contrast to the institutionalized, professionalized, clericalized, human-centered operations we call “churches” today! If we want true reformation today, why stop with soteriology? 7:18 AM Talk about pie in the sky! In any event, our uniqueness as followers of Jesus isn’t in how we vote; it’s in how we live, how we love, how we’re willing to sacrifice our time and resources for others. Following Jesus doesn’t give us any privileged wisdom on how to fix and run society by political means, but it should give us a greater willingness to transform society by Jesus-looking means – that is, through the power of self-sacrificial love. Amen and amen. While we cast our ballots, let us also us vote with our lives, the vote that really counts. 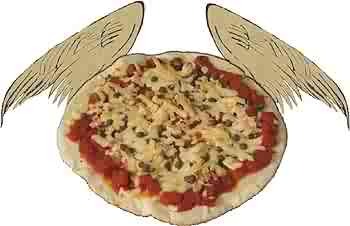 Caesar's power or Calvary's love -- that's the real choice. 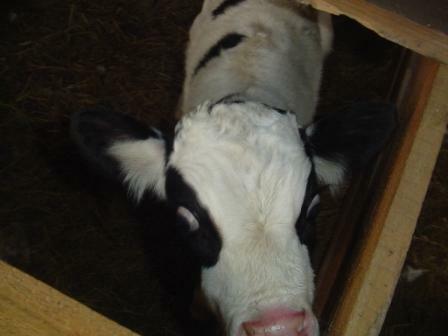 11:15 AM Please join us in extending a warm welcome to our new calves. Each is bottle fed twice a day. In a couple of weeks we'll put them in the calves pasture. In two months they'll join their buddies in the big boys' field. 10:10 AM The latest addition to our home page is called A Time to Rest. 10:05 AM Nice serendipity: Smyth's Greek grammar is online here. JUVENILE COURT TO TRY SHOOTING DEFENDANT. At first I was rather unwilling to study Latin grammar. It seemed absurd to waste time analyzing every word I came across -- noun, genitive, singular, feminine -- when its meaning was quite plain. I thought I might just as well describe my pet in order to know it -- order, vertebrate; division, quadruped; class, mammalia; genus, felinus; species, cat; individual, Tabby. But as I got deeper into the subject, I became more interested, and the beauty of the language delighted me. I often amused myself by reading Latin passages, picking up words I understood and trying to make sense. I have never ceased to enjoy this pastime. There is nothing more beautiful, I think, than the evanescent fleeting images and sentiments presented by a language one is just becoming familiar with -- ideas that flit across the mental sky, shaped and tinted by capricious fancy. This is a good source for anyone just starting out. 4:43 PM The crawl space is now cleaned out and organized. No sooner did we finish than I got a call from Nathan saying that the van's steering cable had snapped. The van ended up in a ditch alongside the road. Thankfully it didn't roll. We just had it towed to the local garage. They'll get to it next Tuesday. 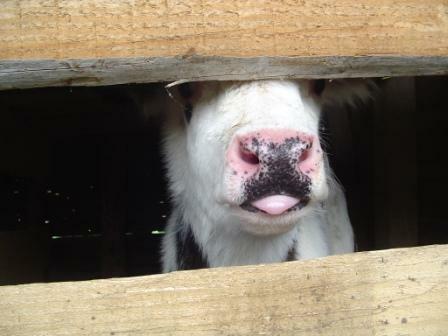 Meanwhile, Becky and Nathan have gone to Oxford to purchase a couple more calves. My job? Cook supper. Yes, Chinese food, with my secret ingredient. After supper we plan on watching The Longest Day. Right now I'm writing an essay on the topic of leisure. 10:23 AM Students of German! Test your knowledge here. 10:20 AM Becky told me she bought me Tora, Tora, Tora on DVD as a present. But she won't let me watch it before Dec. 7. I love war movies that tell the story from both sides, like Tora, Tora, Tora, The Longest Day, and A Bridge Too Far. It's even better when the Germans speak German, the French speak French, etc. (What World War II buff can't say "John has a long mustache" in French?) 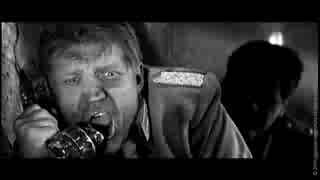 But my favorite sound bite from The Longest Day is when Pluskat answers the seemingly innocuous question as to which direction the Allied ships were heading. "Auf mich zu direkt!" What a line. Almost as good as the scene in Rear Window when Thorwald sees L. B. Jefferies looking at him. Is subject to His eye. 9:56 AM Speaking of translations, this is incredible. 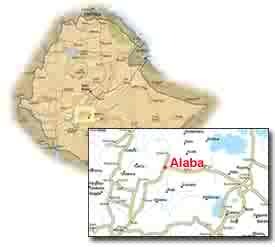 9:52 AM I noted with interest this overview of the people of Alaba, Ethiopia. Strikingly, it says, “Bible Translations: None Available.” True, but hopefully not for much longer. 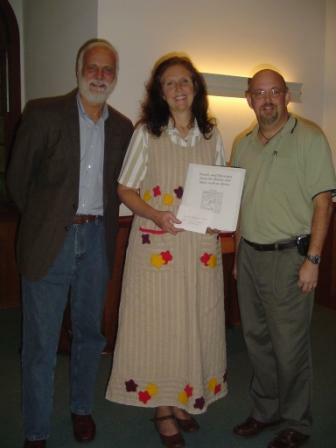 This December I will be meeting with the Alaba Bible Translation Committee (see photo) to check their work on the Gospel of Mark. This work began last year when I visited Alaba. I have the privilege of checking their work against the original Greek for accuracy. So the good work continues. 9:45 AM Pray for the Muslims of Iran. 9:40 AM Thursday greetings to my esteemed colleague Dennis Darville of the seminary’s PR department. He and his team recently published a full page ad in the Journal of Biblical Literature on our Last Twelve Verses of Mark Conference coming up next April 13-14. JBL has been called the flagship theological journal in America. As a result, a major U.S. publisher has contacted us about publishing the conference papers. I am both humbled and delighted. Incidentally, of the main presenters at the conference I will be the only one who is not an expert in textual criticism (though I am, of course, the Pulitzer Prize losing author of New Testament Textual Criticism). Kind of scary, if you ask me. I think I know what this feline is feeling. 9:34 AM Becky Lynn and I had a wonderful time at the seminary these past two days. What did we do? I taught 5 classes and met with students. Becky went to chapel with me (Alvin Reid's message was a blessing) and she had breakfast and lunch with some of her lady friends. After I broke the tape at the finish line I took her to the Olive Garden for supper. You know the one thing we kept talking about over our meal? How much we missed home. And we had only been gone for two days. 7:28 AM It looks like the warm weather has departed. The high today is expected to be be about 55. I'm teaching myself biblical Greek, because I don't have access to a class (I'm in the military, learning Korean) in my spare time. If I just want to be able to work through the books of the New Testament using various lexical aids, do I need to memorize every accent mark on each word I learn? It's a bit of an obstacle, if truth be told (don't have to worry about it in Korean though!). I can see that the rough/smooth breathing indicator is important, but what about the others? Anyhow, I've been reading your columns and essays for several years, and it is apparent that you have a heart for our Lord. I don't know if you ever get discouraged; just know that here's one young man that has been blessed through you by God. May the Lord Jesus bless you, sir. Keep speaking the truth! 7:21 AM Tuesday shout-out to Matthew McDill who passed his Ph.D. orals yesterday and will now begin working on his dissertation. Below are his persecutors-in-chief (left-to-right: Black, Beck, and Lanier). 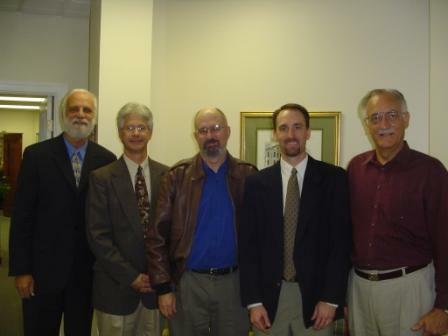 On the right is Matt's dad, Wayne McDill, professor of preaching at the seminary. Matthew wants to explore the relationship between leadership in the church and leadership in the home in his doctoral dissertation. I look forward to working with him on this important topic. 7:14 AM Northwest Nazarene University in Idaho announces an opening in Biblical Studies. 7:10 AM Biola Connections has just published my essay called “Sloppy Agape.” To read it clickhere. While browsing the Biola website I ran across an old friend and former teacher/colleague of mine, Rafe Payne. Rafe taught one of my favorite classes at Biola, Marine Biology, replete with numerous field trips to the Laguna beach tidal pools. I recall once applying for a job as a "lab tech" in a local hospital while in college and being asked if I had had biology. "Well, does Marine Biology count?" When they answered "yes," I quickly looked for a job elsewhere! Rafe made learning fun. I still remember his enormous salt water aquarium upstairs in Sutherland Hall. Those were fun years. 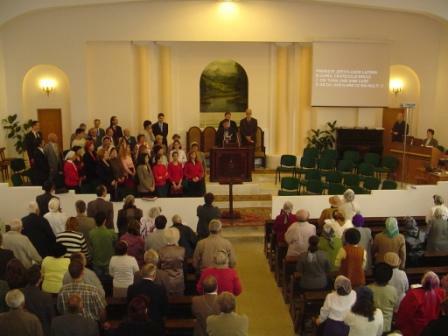 7:02 AM Brother Tim Irving is the undershepherd at Tabernacle Baptist Church in South Hill, VA. Tabernacle has adopted a congregation in Alaba, Ethiopia. Last night Becky and I met with those who might be interested in going to Ethiopia with us next summer to visit their sister church. I spoke briefly from Philippians 2 about Epaphroditus, the Philippians' personal representative to Paul in prison, then Becky gave a detailed overview of what is expected of team members. Several indicated a serious interest in going with us. The rest have said they would pray for the team. That's good. 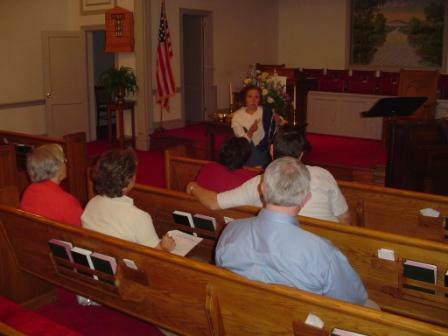 The church began in a prayer meeting in Acts. There's nothing more important than getting on our knees before God. Tim has been very supportive of the mission trip and has put together a binder with all of the emails we have sent him about the work in Ethiopia. We are asking people to pray about going, and if the Holy Spirit gives them a green light to let us know by December 1st. In December we'll have the first of 4 orientation meetings for the trip to discuss passports, visas, inoculations, Ethiopian customs and language, appropriate clothing (sorry ladies, no pants), etc. Once the team is set Becky and I will take photos of the team members to pass out to their sister congregation during our Dec./Jan. trip. Needless to say, we are in much prayer for the Lord to establish the team according to His perfect will. Are you a good steward of what Paul calls "the mysteries of God"? To be "in Christ" is to be "in-volved." We are all in the business of bringing men and women to Christ. 6:28 AM The latest addition to our home page is called Silent Sufferers. 6:15 AM "Where love is, God is." I thought of this saying yesterday at Childrey Baptist Church when I saw a display for Ethiopia set up by the Women on Mission. "Let's Pack Professor Black's Suitcases" the sign said, and before Becky and me stood a suitcase full of protein bars and vitamins. We were filled with exhilaration and joy. On Saturday Childrey is having their annual fall festival with all proceeds going to fund Bibles for Ethiopia. This is the supreme glory of the Christian -- being part of the Body of Christ on earth. There is nothing like it. Deepest thanks to all of our dear friends at CBC. The world is full of talk about Christianity, but one deed is worth a thousand words. 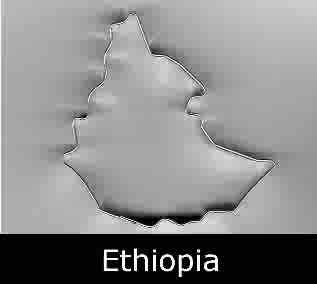 May God bless you for remembering your Ethiopian brothers and sisters. 6:43 AM Farm update: It's gearing-up time for the winter months that will soon be upon us. We cut enough hay this summer to hold us until spring and we may even sell some this winter. Our fields have been bush hogged, our fire wood stacked, but we still need to burn fires in our fireplaces to clean them out. I'd like to get more fencing put up before leaving for Ethiopia. At least that's my desire; our schedule is a little busy between now and then. The animals are all fine, and we've got several pregnant goats. Nate ordered 100 more chicks for his chicken mansion and they arrived safely. We may slaughter another cow around Thanksgiving time, though we may wait until the spring. Amazing how our beef supply dwindles so quickly. All that Chinese food I cook, I guess. All in all, we're still enjoying farming and the rural life. 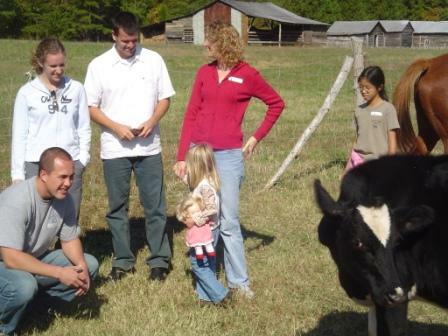 I can't look back and point to a particular time and place when God "called" me to live on a farm, but I do sense that's what I'm supposed to be doing with my life along with teaching and the various other ministry opportunities He sends my way. One thing is sure: I'm glad this farm wasn't subdivided and made into a housing tract. I feel the Lord saved it just for us. 6:36 AM We're getting in the final countdown mode for our trip to Ethiopia. Our flight itinerary just arrived, and we have contacted the SIM guest house in Addis about reserving a room before heading south to Alaba. Meanwhile, I want to thank Becky Lynn for the great job she did in hosting a great group of people yesterday. One of my favorite sayings is: "Marriage is like eating with chopsticks. It looks so easy till you try it." Becky makes it a lot easier because she is such a gracious, giving person. I wish all of you could know her personally. 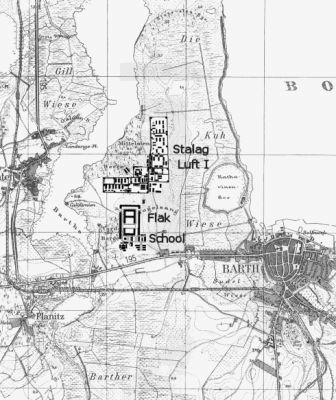 Upon recapture Day is sent to Stalag Luft I at Barth on the Baltic. More on that camp later. It was great to hear so many testimonies of the Lord's leading in my students' lives, many to the foreign mission field. Plugging in where God has gifted us is life's greatest joy. These are 21st century examples of Isaiah's reminder that our light rises like the morning sun when we stoop to serve. God bless all of you, and may He use you mightily in His service in the years to come. 7:40 AM My current love in reading is anything that has to do with escapes from German prisoner of war camps in World War II. Mission Escape traces the story of Wing Commander Harry Day from his capture in September of 1938 to his eventual repatriation in 1945. 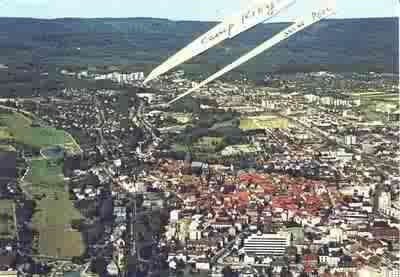 He participated in the first successful allied tunnel from Dulag Luft in Oberursel, just north of Frankfurt am Main. 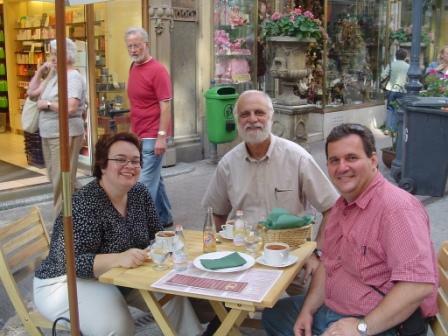 A few years ago, just after teaching at Tyndale Seminary in Holland for a couple of weeks, I tried to find the site of that camp along with a buddy of mine who lives in Germany, Cleon Rogers Jr. (of Rogers and Rogers fame). Sure enough, with the help of the city manager, we found it and I actually stood on the spot where 18 men staged the first mass escape from Germany. 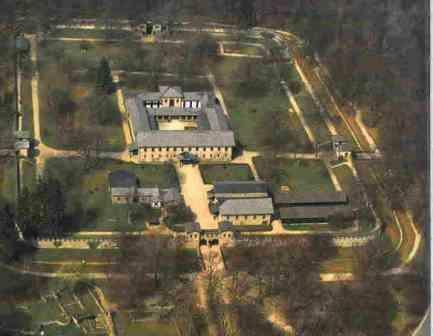 After the war the Americans renamed it Camp King, and it was used for several decades as a U.S. base. Later, "Wings" Day along with 75 other allied POWs climbed out of a hole at Stalag Luft 3 in the famous "Great Escape" of March, 1944. The site of that camp (in Sagan, Poland) has recently opened a museum. Someday I would love to join up with another World War II buff and visit these and other sites. By the way, just south of our farm there was a German POW camp in Butner, NC, where the prisoners helped the local farmers plant and harvest their crops. 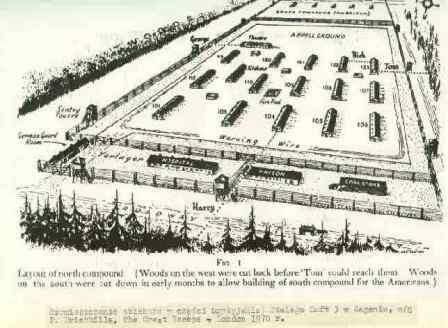 As far as I can tell, only one German prisoner made a successful escape from Camp Butner. Kurt Rossmeisl walked out the camp on August 4, 1945 and caught a train to Chicago, where he lived under the name Frank Ellis, obtained a social security card, found employment, and even joined a local Moose lodge. Tired of being on the run, Rossmeisl finally turned himself in on May10, 1959, fourteen years after the end of the war. Why am I so fascinated with escape stories? Is it the courage, the struggle for freedom, the human ingenuity that draws me? All that and more. What comes through these books is the indomitable spirit of men in the face of great adversity. I have yet to find any other genre of literature that combines such excitement and determination. It was heartbreaking to see the desolation of the farmland which fills the immediate inland areas of Australia. Practically the whole nation is suffering the worst drought on record, with the result that four farmers per week are committing suicide. 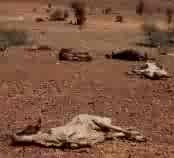 Will you join me in asking a merciful God to send relief to this famine-stricken area of the world? For more on this desperate situation, go here. 3:46 PM Why the Brooks family does not celebrate Halloween. 6:49 AM This is the time when many of our Ph.D. students are sitting for their oral exams. What I look for in these exams is spiritual wisdom, not just worldly knowledge. 1 Corinthians shows that the root cause of division is intellectual wisdom. Intellectual pride simply cannot admit it may be wrong. I want our students to be humble enough to learn. Plato said: "He is the wisest man who knows himself to be very ill-equipped for the study of wisdom." Quintillian said of certain of his students: "They would doubtless have become excellent scholars if they had not been so fully persuaded of their own scholarship." The student who doesn't know, and knows he doesn't know, is the one I am looking for. The solution to the synoptic problem is not as important to me as knowing the content of the Gospels and, more importantly, their great Subject and Author. So to all of you taking your exams: Best wishes, good success, and stay humble. 6:41 AM It's official: 193 died during the unrest in Addis Ababa last year. We were there, heard the gunfire, saw the wounded being taken to the Black Lion hospital cross the street. You never know what you'll encounter when you travel abroad. 6:36 AM This Sunday at Childrey Baptist Church I will begin a series of messages from Philippians, one of my favorite of Paul's epistles. (My all-time favorite is Hebrews, but that requires an explanation I'll save for another day.) Although I never set out to do so, I have practically memorized the entire book of Philippians in Greek. 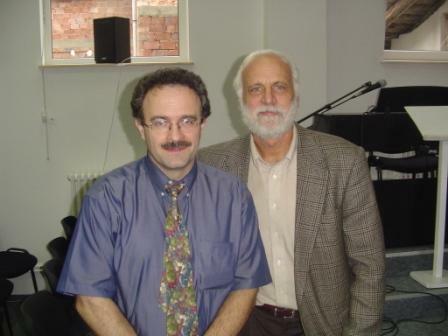 While in Romania I had several talks about Bible memorization with my friend and colleague Radu Gheorghita, who has himself learned several New Testament writings by heart (most of them in Greek). Go hereto learn more about this incredible achievement. 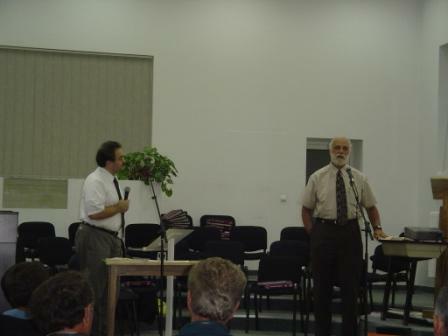 I would love to have Radu come to my classes sometime and recite from heart the entire book of Revelation. 6:30 AM In the fall of 2007 our seminary will launch a brand new M.A. program in a very exciting field of studies. It will be the first of its kind in the 6 SBC seminaries and, I believe, will meet a tremendous need among our students and missionaries. As soon as I have the freedom to do so, I will give more details here. Needless to say, I couldn't be more delighted. 6:24 AM Still chipping away at my book, Unleashing the Church. I've finally written the introduction. At the moment I've got 4 major writing projects on my platter, so it might still be a while before this work sees the light of day. 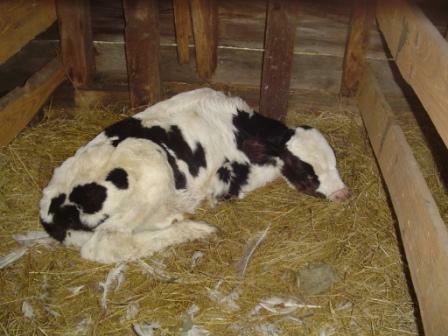 As with farm work, you can't do everything at once; you do things one (feeble) step at a time. 6:20 AM Yesterday my ophthalmologist asked me how long I had been teaching Greek. Both of us were amazed at the answer. I don't feel that old! In my 30 years of employment as a teacher I don't think I've ever had a class I didn't enjoy or students I didn't get along with. Even the most acerbic among them I always considered to be merely eccentric -- perhaps a bit too much like their professor. I recall one graduate of a university in Virginia who was a rabid defender of the KJV and the Textus Receptus. His views had been attacked by both teachers and peers. I was happy to allow him to present his views in our New Testament class, to give him a full hearing once he had researched his subject thoroughly. All he needed was a little bit of respect, a little moral support, to change from being a defensive apologist to a teachable scholar. I've seen this time and time again. I have had excellent relationships with my students largely, I think, because I consider myself a student just like them. As for students who like to stir things up a bit, I don't mind them at all, since I like to do the same thing from time to time. It's our attitude that matters, and there is plenty of room for disagreement if we can learn to disagree agreeably. I have always had the greatest students as far as I'm concerned, and Becky and I are eager to welcome many of them to Bradford Hall tomorrow. I hope especially their children will enjoy their time here and will look back on their days when "daddy was in seminary" as some of the most enjoyable they've spent on earth. 6:13 AM I see that Pearls of Iraq is having a book drive. They're asking for this tome. Happy to oblige. 6:15 PM Becky and I just returned from Danville where we had an appointment with the eye doctor and lunch at Ruby Tuesday's. I wish I had had my camera with me. 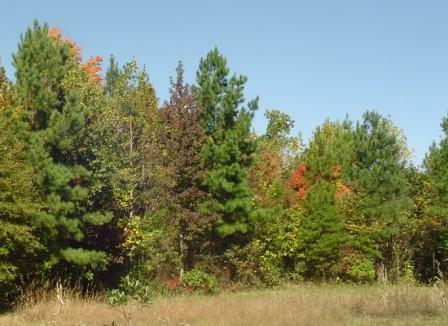 The fall foliage is just spectacular on Hwy. 58. 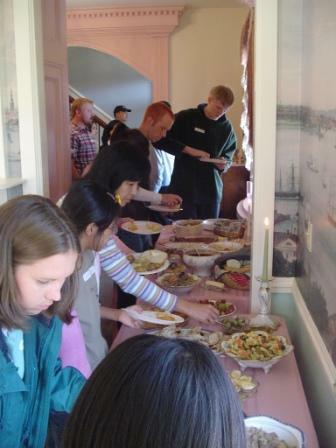 Tomorrow is prep day for Saturday's student get-together. Looks like we'll have about 70 make the trek from Wake Forest. The weather? Rain tonight, then clearing out for Saturday. Yes, you can expect bright sunshine on Saturday. 6:59 AM The latest addition to our home page is called The Seduction of Politics. 6:54 AM Baylor University announces an opening in New Testament. Judson College is seeking a teacher of theology/philosophy. 6:50 AM Mark your calendars now! 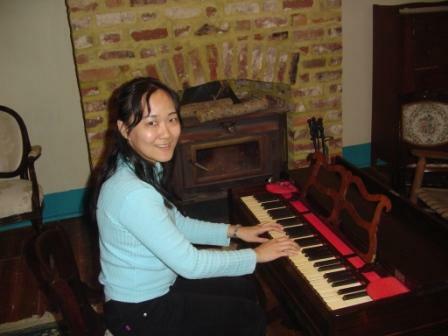 Nannette Godwin of our faculty is giving a piano and organ recital on Monday, October 30, 2006, at 7:00 pm on campus. Nannette’s recitals are always worth hearing and are very audience interactive. [A] number of Ambassador Dybul’s family members joining us on this auspicious occasion. They include: partner, Jason Claire; mother, Claire Dybul; father, Richard Dybul; and mother-in-law, Marilyn Claire. Please join me in extending a very warm welcome to all of our distinguished guests. What a message this picture sends to the world about America's "family values." 6:36 AM I just sent off two more Greek pronunciation CDs along with my workbook. Again, I offer these gratis to anyone using our beginning grammar. I don’t know if you remember me.... I was one of your students at Talbot in the early 1990’s. I’m presently a second year doctoral student here at Dallas Theological Seminary. I don’t know if I had a chance to tell you how much your teaching at Talbot impacted my life. I took your course on the Epistles to the Hebrews, and just fell in love with this part of God’s Word. In fact, I wrote my Th.M. thesis on Hebrews. Thanks in many part to your passion for Hebrews which was contagious. I do indeed remember him, and in fact I can recall how I first fell in love with the book of Hebrews when I took a course in it at Biola. I agree that there is hardly a more rewarding New Testament book to study than Hebrews. May the Hebrews contagion continue! 6:23 AM I see I’m not the only one who takes the “husband of one wife” requirement in 1 Tim. 3:2 to refer to polygamy. 6:20 AM Read this ode to the Amish. It touched my heart, Ben. 6:41 AM What a picture of contentment. A farmer, a tractor, and a freshly bush-hogged field. Life does not get any better than this. 7:47 AM In exactly two months Becky and I will return to Ethiopia to visit the persecuted church in Alaba. All I can say is, It's spiritual warfare, friend! The evil one will do all he can to subvert, disrupt, and destroy the work of God. Pray for boldness. Pray for open doors to reach the Muslims. Pray for Pauls to plant and Apolloses to water. Pray for your brothers and sisters in Alaba every day. God will honor your prayers. I just ask that, should conflict arise while we're there, it's not because we have been unwise or insensitive in the use of our freedom. If people reject us, let them reject us because we are loving messengers of Christ. Julie, for organizing this event. Name a well-known figure in Greek mythology, whose name consists of two consecutive pronouns. Who is it? 7:37 AM The difference a pronoun can make. All the more reason to read, study, and teach directly from the Greek text. You say, I could never do that! Well, have you ever tried? 7:35 AM I share this author's interest in the Hawaiian language, which, by the way, has verbal aspect just like Greek. Not a bad snapshot of our site. To get your own Word Cloud, click here. 7:24 AM While I was in Romania, Becky and Nathan attended Amis Chapel's fall bluegrass festival. Go here for some pics of the event. 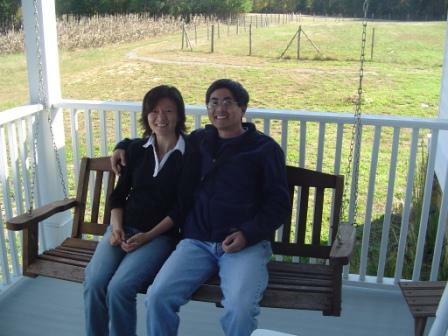 Becky and I look forward to speaking at Amis Chapel on Sunday morning, Nov. 19. 7:20 AM The woes and weals of learning Greek. 7:15 AM It felt great to be home again and to spend time among my neighbors and friends. 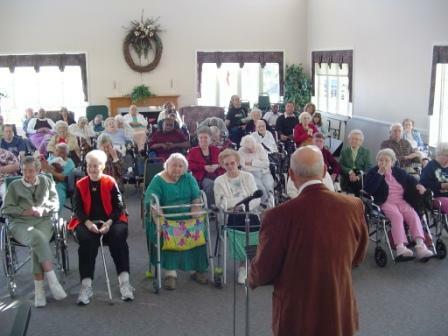 Brother Warren Turner led the service yesterday at the local nursing home in Clarksville. 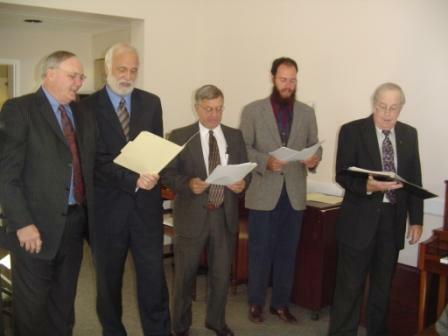 Our men's group sang several old Gospel songs. We concluded (as always) with "Jesus Loves Me" for brother Roosevelt. Us country folk do indeed love our music. Then it was off to my home congregation. I tell people I attend a "mega church," and I do. 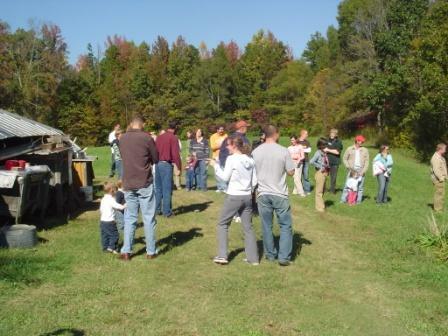 Averett is the closest Southern Baptist church to our farm. Yesterday we had 38 in attendance. So how is that a "mega" church? Now, don't be too hard on small churches! Here you find some of the most Christ-like people you could ever hope to meet. We're aging, we're hurting, many have "passed over" in the last 5 years, but it's a tremendous place where people love and care for each other, and I am blessed to be a part of it. 7:48 AM Pretty tired this morning. The trip took more out of me than I thought. Traveling seems to be getting harder and harder as the years go by. I calculated that I spoke 17 times in one week. But it was a great trip in every respect. I feel encouraged by the emails I am receiving from conference attendees. On another note, it looks like two more of my books will be translated into Romanian as well. That's the latest news from Bradford Hall. Off to the nursing home. 10:44 AM The latest addition to our home page is called Servers Win! 7:52 AM Check out the Better Bibles Blog if you haven't done so already. Always interesting! Church is the way it is because it is the way we want it. Deep down inside at a semi-conscious level we decided the cost of being a minister, the cost of being a disciple is too much and we stick with the status quo. We may recognize their are problems. We tinker with programs and convince ourselves that there really is a legitimate chance this going to make a difference. Nowadays people innovate by adding in couches or video projectors or art installations. In the end the more things change the more they remain the same. 7:50 AM The Internet is amazing. I am receiving emails from readers as far away as Morocco, Romania, and Australia. They found our website and wrote to say hello. The best part about all of this is the new friends I am making in cyberspace. Sure, web hosting and blogging takes time. But it can be well worth the effort. If you're just getting started, here are some helpfultips. ... with about 800 to 1,000 German words a person has the foundations for basic, function communication with a German language speaker. You therefore can see what an effective German language learning tool you will have in your hands. Remember: if you've had Greek, the German noun system will be easy, and if you've had Spanish, the German verb system will be a breeze. See all the good reasons to take Greek? 7:43 AM John 1:1 and the deity of Christ. 7:41 AM We just received an email from our son Bereket in Ethiopia. He started school two weeks ago and is doing well. The school placed him in the third grade. He says the teacher allowed him to sit wherever he wanted to in the classroom, and he chose the middle so that he could read the chalkboard without the whiteness of the chalk hurting his eyes. He is taking everything in stride. He continues to be discipled by the local evangelist every Saturday and attends church in town on Sunday. Let us pray that we will continue to see God's hand of blessing in this young man's life. We met at Areopagus Centre when you lectured there. I took you then to the train station by car. I enjoyed a lot your speech about mission according to Jesus. Both academic and full of spirituality. I am glad to see that there are American Evangelicals that do not agree with the contemporary model of church leadership based on power. I would like to be in touch with you. Yours, P. B. 7:37 AM Students! 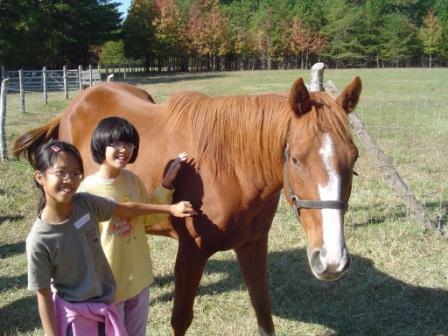 Don't forget that next Saturday is our Student Day at the farm from 10:00 to 5:00. Lunch will be served at 12:00 noon, dessert at 3:00. Contact me if you need directions. 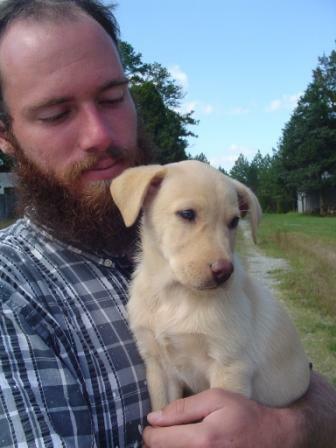 7:23 AM Speaking of Nathan, last weekend he went to the Jeb Stuart reenactment and came home with a puppy. Her name? Dixie. 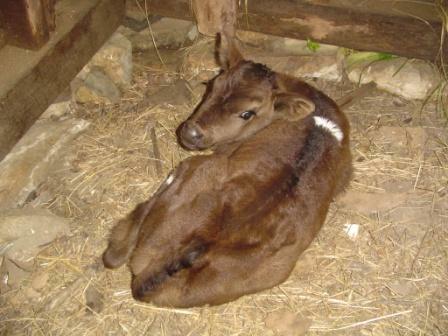 Welcome to the farm, cutie pie. 7:20 AM In Romania I would joke that eating is my spiritual gift. It's true: I can eat anything in any country and not get sick. 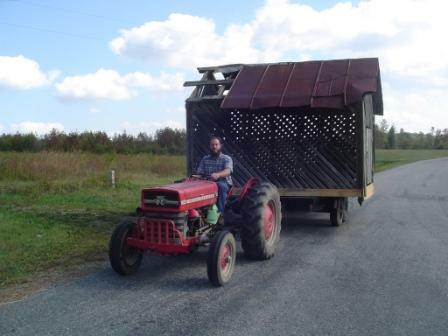 Yesterday Nathan exercised one of his spiritual gifts when he somehow managed to move a corn crib from a neighbor's farm to Rosewood. God has given him tremendous ability to work with his hands. It's really amazing. Then again, God has given each of us specific, tangible, concrete abilities for ministry. 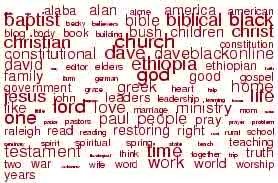 These include fixing up old houses, repairing furniture, hunting, mowing lawns, working on tractors, and I guess I should also include the traditional list of things like teaching, writing, and exhortation. 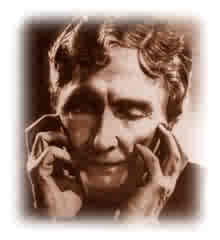 Any ability that is used for the glory of God is a spiritual gift, even moving old corn cribs. 7:14 AM Last night we attended a revival service at a neighboring independent, fundamental Baptist church. We were there from 5:30- to 9:30. How nice to be in a church where people aren't looking at their watches. Pastor David was kind enough to ask me to bring a word of greeting and a brief report on our work in Ethiopia. We also joined the choir for the evening. They must use a different hymnal than I'm used to: I didn't know a single hymn we sang, but they were all fantastic and rousing. 7:10 AM Congratulations to Emmanuel Cakpo, who passed his D.Min. oral yesterday with flying colors. Emmanuel has been my personal assistant for the past three semesters. He will graduate in December and then return to his home in Benin. 3:35 PM Becky reminded me yesterday that I did not go to Romania to harvest a crop but to plant seeds. Now these seeds need to be watered and nurtured for any fruit to be born. As I read today in my morning devotional from Phil. 3:15, it is always God's work to bring understanding to His people, not mine or yours. "If you are disposed to think differently about anything," writes Paul, "even God will reveal this to you." The one thing we must do is "keep in step" (stoichein) with the level of understanding and maturity we have already attained and not go backwards (3:16). 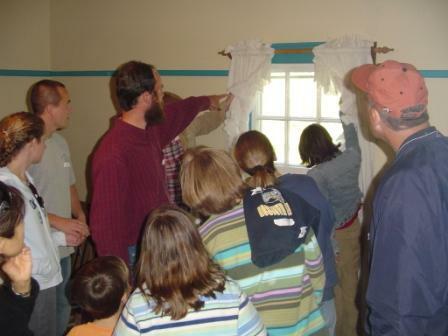 My trip was an encouraging appeal for Christians of all ages and abilities to become part of God's strategy for bringing His church to maturity by drawing others to the Savior and then helping them to follow and serve Him with all their being, rather than leaving ministry in the hands of paid "professionals." Because Romania has already adopted many of the questionable leadership models taught in America, I see it as front-line spiritual warfare. Christians fail because they are not building genuine relationships, first with their Lord, then with others. We are too busy with our own agendas. The key is to stay in touch with God and His agenda for the church. 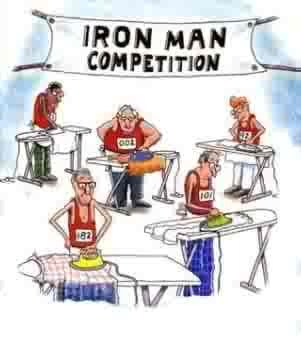 That's hard work. There really is a huge difference between goodness and godliness. We can look "good" and not be godly. Ultimately the dividing line between those who look good and those who are good is truth. Those who seek God's pattern for the church believe the Lord is pleased to use the gifts and abilities of even the most humble among us. Worldly riches matter not, nor do any of our other "status" symbols. A genuine, warm person is tons better than a house full of expensive furniture inhabited by a neurotic super-saint. God loves to use the simple to confound the "wise." A church that is enamored with worldly marks of "success" is hardly a biblical church at all. The good news is that God can pick us up and turn our failures into real successes. Once we fall in love with Jesus we will do everything in our power to introduce others to Him. And once we get to know this magnificent, glorious, loving Lord, we will seek to give Him "first place" (Col. 1:18) in everything we do. The main thing is to refocus on Christ and our relationship with Him. We must stop talking about John Maxwell and Rick Warren and -- God forbid! -- Dave Black and focus on the King of kings and Lord of lords, our great treasure, the only "Senior Pastor" of the church. I left Raleigh-Durham at 10:30 on Friday morning. Saturday afternoon I was met in Budapest by Adi and Ema Ban. We took a brief tour of that ancient city while waiting for Radu to arrive on a later flight from the states. Here we are enjoying -- what else? -- a delicious bowl of Hungarian goulash. By the way, Adi has graciously agreed to translate The Myth of Adolescence into Romanian. 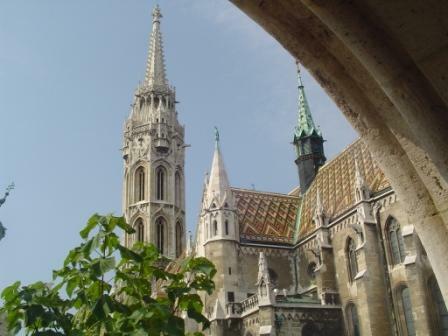 The Citadel in Budapest is an ancient landmark. Anyone who enjoys architecture will find Hungary a treasure trove. And here's Radu Gheorgita. 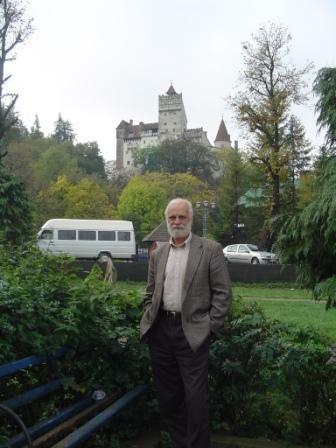 Radu is a professor of New Testament at my sister seminary in Kansas City and a fellow Romanian. He was actual born in the same province (Cluj) that my grandparents were from, so we are not only Transylvanians but Cluj-ers as well. Radu organized my visit and was my main "interrupter" during my visit. On Saturday night we arrived in Oradea and set up shop in the Termal Hotel. Our route took us on a two-lane highway, which is standard fare for Romania. In fact, other than the suburbs of Bucharest I don't recall ever seeing a road that had more than two narrow lanes. That amazed me. Another surprise was how I was able to speak German during my trip, especially among the tourists I met in my hotels. This gentleman served in the Wehrmacht and was captured by the Russians at the end of the war. Thankfully he survived 4 years as a POW in Siberia. What stories he had to tell. 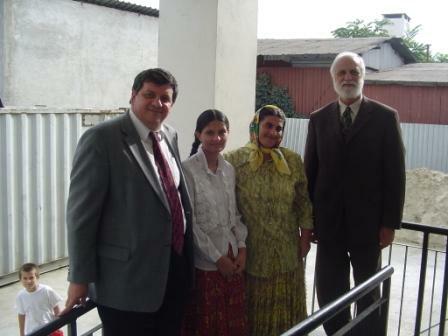 I spoke at the rural Tulca Baptist Church during the my first Sunday in Romania. 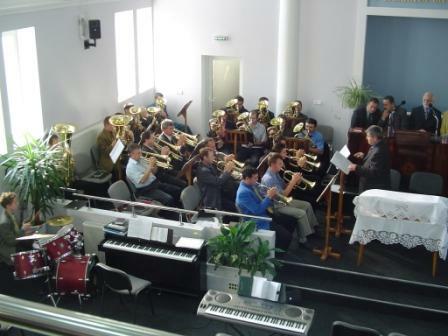 The church's brass band played several of my favorite hymns, including a stellar rendition of Amazing Grace. On Monday the colloquium began. Radu had had several of my web essays on the church translated and collected in a handsome booklet. Here's the schedule for the conference. 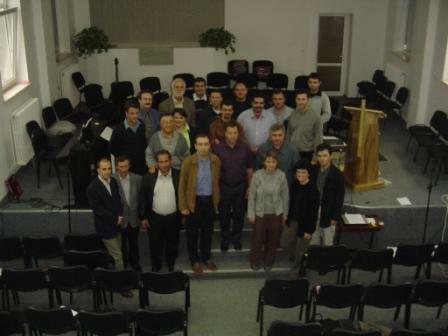 My audience in Oradea was comprised mostly of pastors who come from churches in Western Romania. I found them very receptive to what we said about the New Testament patterns of church practice and leadership. I would teach for about two hours, then after a half-hour break there would be a discussion session lasting up to an hour and a half. I did this four times in two days in Oradea. 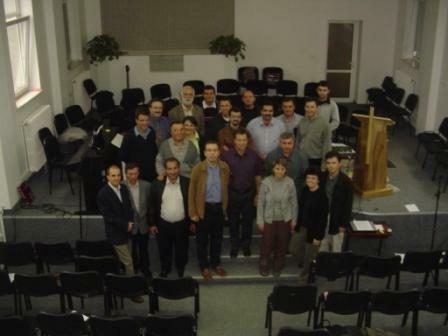 Then we were off to Cluj to meet with the faculty of the Reformed Seminary there. 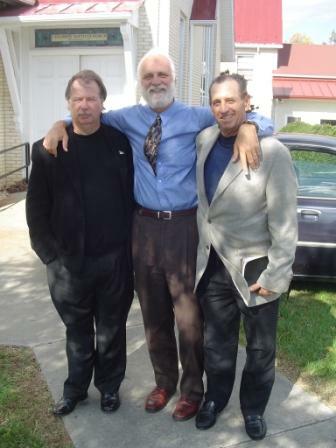 Here I am with their two New Testament professors. 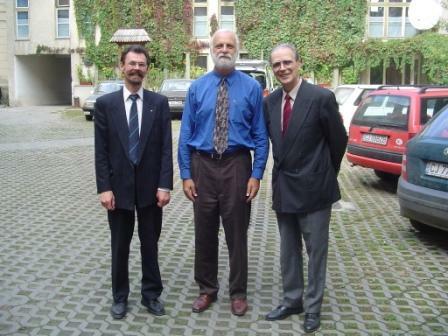 Next year the SNTS meeting will be held in Sibiu, and perhaps I will see my esteemed colleagues again at that time. 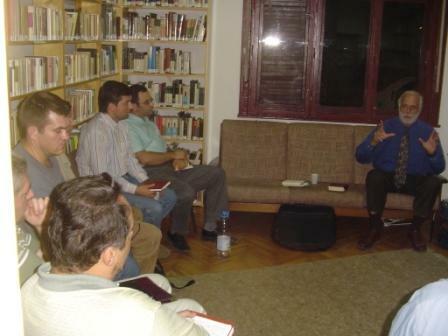 After a meeting with the chancellor of the University of Cluj to discuss setting up a Baptist course of study there, we drove to Timisoara for my Areopagus lecture. The setting was very informal and the students were eager to hear what I had to say about doing missions Jesus' way (Matt. 9:35-38). 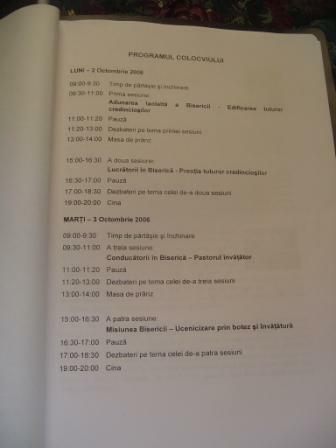 This was the one session I had in Romania that I could speak in English without translation. Personally, I much prefer an informal setting like this one to the more formal ambience of the classroom. The colloquium picked up again on Thursday and Friday with sessions in the ancient Roman city of Alba Iulia. Again, Radu did a fantastic job of translating my lectures into Romanian. 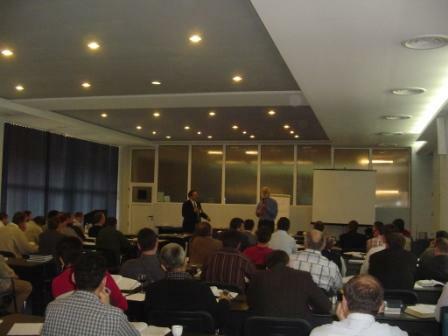 Here the class was much smaller than in Oradea but no less attentive and eager to discuss the Scriptures. The gentleman in the foreground with the brown jacket is the undershepherd of the Baptist church there. 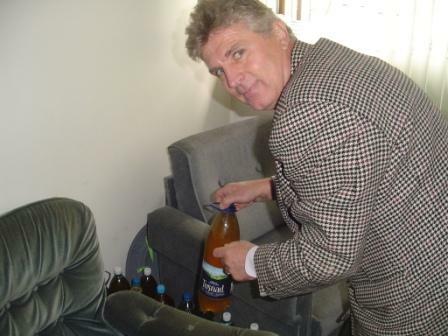 Radu and I stayed in his home and enjoyed the wonderful hospitality he and his wife provided. Saturday we were on the road again, stopping briefly at Bran, the 14-century castle often visited by Vlad the Impaler, the forerunner of the Count Dracula of fiction. Here I am trying to present my most vampiresque pose. 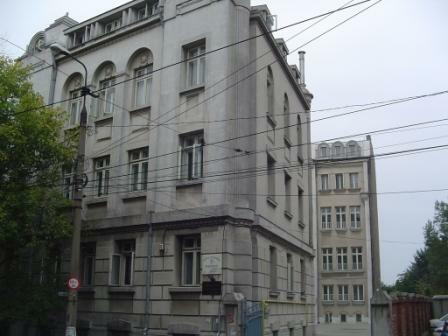 In Bucharest I stayed at the Baptist Seminary, the two buildings you see below, and had wonderful chats with several of their students. On Sunday morning I was privileged to speak in the largest Baptist church in Bucharest, Golgotha Baptist Church. 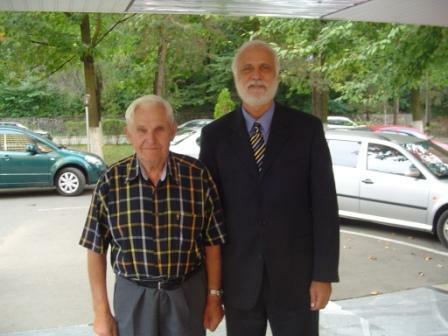 After the service I met this man from Cluj, who said he knew a family called "Arsu" growing up. I practically fainted when he said that. While we were in Cluj we could not find a single Arsu family in the white pages. He is going to try to contact the family he once knew and put me in touch with them. 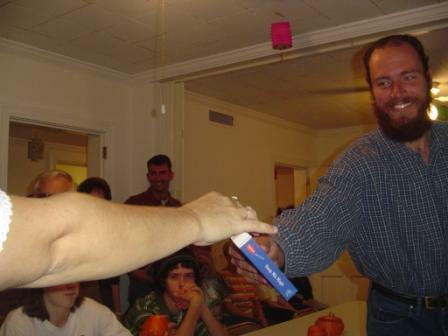 This photo shows him "tithing" honey to the church. Our last stop in Bucharest was at the Ruth Center for Gypsies, which is doing a wonderful work among these Indian-looking people. In about two weeks the center will dedicate its new school building. On Sunday night I was put on the 6:30 train to Budapest. 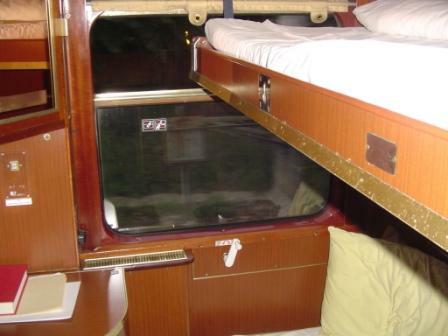 Here is my compartment. After a 13-hour train ride I stayed overnight in a small hotel near the airport and caught my flight to the states the next morning at 6:30. After stopovers in Frankfurt and Washington-Dulles (where I missed my connecting flight), I arrived home on Wednesday morning at 1:00 am, tired but happy. I want to express my sincerest thanks to all who prayed for me. Now it's time to see what God will do. Here at the farm it's always a race to get our hay into the barns before the rain baptizes it. Once the sickle mower has done its job, we know we have only a window of a few days. As soon as possible we bale and hustle the hay into the barns. 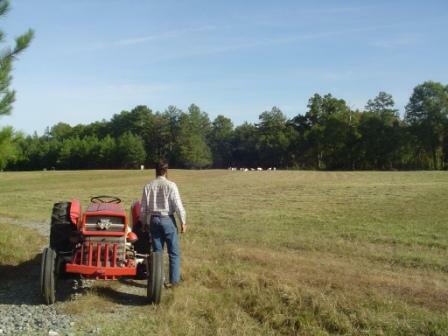 Lots of work precede this harvest -- fertilizing, liming, bush hogging, rotating pastures. But the harvest is what it's all about. All other activities look forward to that. I was blessed to be able to do a little fertilizing and liming in Romania. But only God can give the increase. Still, one thing is certain: Those who go out weeping will return with joy. 6:25 AM A student asked me the other day where he could find an online German tutorial. Here's a good place to start. I have a suggested web site from one of the better universities here in the UK http://www.exeter.ac.uk/german/abinitio. This is indeed a very helpful site for learning German. 8:55 PM My Simple Life has been visiting Africam. 8:52 PM Lawn mower evangelism. 8:49 PM Regent University announces an opening in religious studies. 8:47 PM Go here (.pdf) for an excellent discussion of the place of discourse analysis in New Testament studies. Nice job, Matthew. 8:42 PM I'm back, and it was a wonderful trip in every way. I'll have pictures and a report shortly.